Big, big seller, can anything catch the S3? Samsung expects sales of its flagship Galaxy S3 handsets to reach 10 million in July. Reuters reports that the announcement was made by JK Shin, head of Samsung's telecommunications business, and sets the Galaxy S3 on the road to being Samsung's biggest selling handset ever. 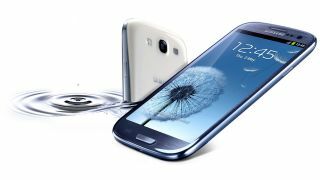 Continuing on from the success of the Samsung Galaxy S2, the Galaxy S3 was set for greatness early on, after we heard that over 10 million handsets had been pre-ordered and networks reported than it was their most pre-ordered device ever. Could that be 20 million? It's not clear if Shin's sales prediction is based only on handsets shipped after the Galaxy S3 officially arrived in stores, and if it is we could be looking at a figure closer to 20 million units sold in total once pre-orders are considered. The quad-core toting, 4.8-inch Super AMOLED HD display boasting Samsung Galaxy S3 has taken the battle direct to Apple and its iPhone 4S, and the South Korean firm is keen to get as many S3s in consumer hands as possible before the iPhone 5 is launched later this year. Reuters also reports that Samsung expects to see higher earnings for the second quarter of this year, no doubt down to the warm (read: scorching) reception the Galaxy S3 has received. Shin said; "The overall market condition was challenging due to euro zone issues and tight supply of components ... but (our) second-quarter results will be better than the first quarter." Samsung's mobile division accounted for 73% of the firm's operating profits in the first quarter of this year, with that percentage likely to increase for the next – which shows just how important the Galaxy S3 and the rest of the handset range is to the South Korean company. Want to know more about the Samsung Galaxy S3? Then check out our video below.